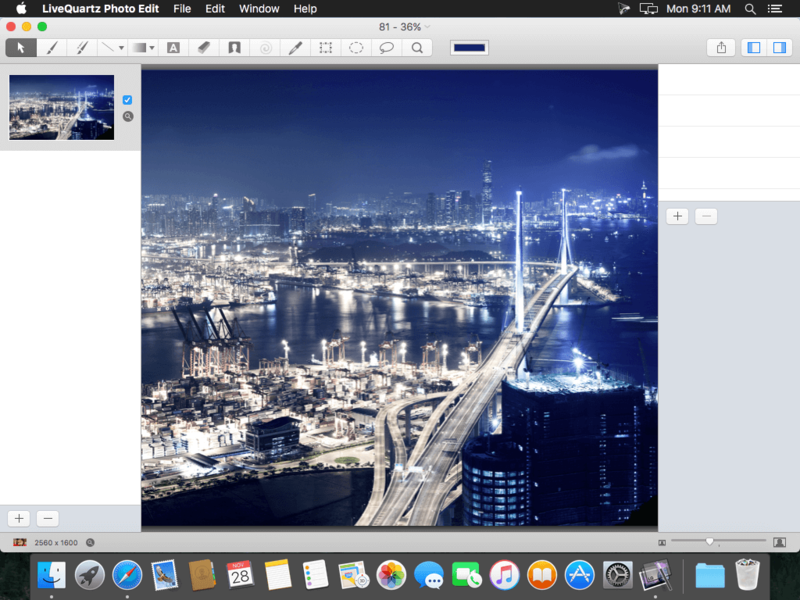 LiveQuartz is a simple and powerful photo editor based on non-destructive layers and filters. The layers are at the left and the filters are at the right of the window. Rewritten Camera and Scanner Import panel in Swift 3 only for Sierra (this should fix some bugs).